This project however was restarted in 2010. Oberst may be better known for his confessional songwriting and storytelling as the lead singer of the popular indie folk band Bright Eyes, but Desaparecidos has a very different flavor. Indeed, similar vocal melodies and song structures are present, but the guitars are loud and distorted, the bass is pounding, and the drums and keyboards round out this hi-energy without the lyrical focus of personal relationships. Oberst screams observational commentary about urban development, the sacrifice of human value for the dollar bill, and the new American Dream. Setting out to capture the rawness of the band, the record was recorded over one week at Presto! Recording Studio in Lincoln with producer Hugh Joseph. Bright Eyes fans will love it, but it'll also appeal to anyone who's ever dug At the Drive-In, The Pixies, Weezer, Dinosaur Jr., etc. "Desaparecidos" means literally "the disappeared" in Spanish and in Portuguese, and is a reference to people who were arrested by various South American military governments and then vanished without a trace. From 1976 to 1983 in Argentina, for example, thousands of dissidents vanished without a trace under a Dirty War driven by the military junta that was in power. Desaparecidos broke up in 2002. 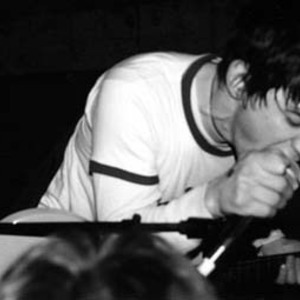 While the band was attracting an increasingly large following, especially touring with Jimmy Eat World and being the feature of an MTV You Hear it First episode, Oberst did not have the time to dedicate to the band with the continually increasing success of Bright Eyes.